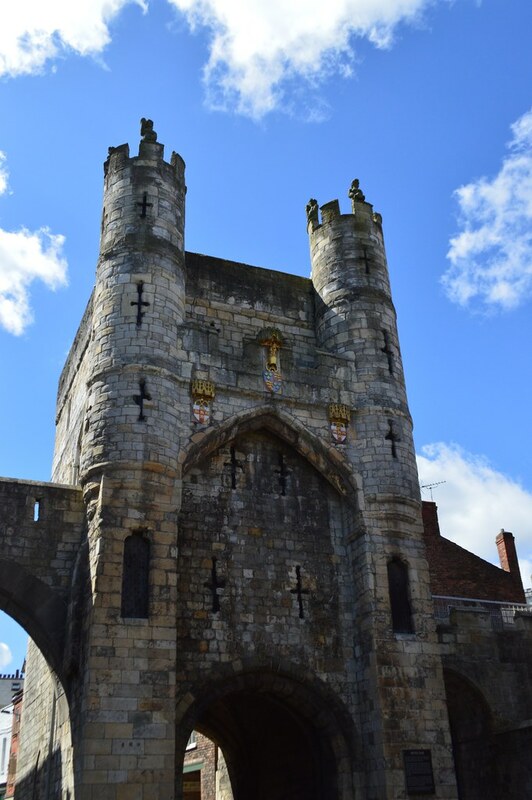 I've always wanted to visit York, it's the perfect weekend break location for a former history student like myself as the city has Roman origins, Viking links, was the site of The Peasants' Revolt and Catholic unrest after the dissolution of the monasteries. If you're not that interested in history the city has plenty to offer everyone including great shopping and lots of lovely restaurants and bars. York is also the UK’s most haunted city with ghosts. ghouls and gory stories aplenty. Both myself and Martyn have had a pretty rubbish time recently and I've currently got five stitches in my knee so I was need of a fun weekend away. I couldn't wait to set off on my trip to a city which offers Romans, railways and ruins. It takes around 3.5 hours to drive from Newport to York so we didn't do much on the Friday night, we had some food and got an early night so we could make the most of our 48 hours in York. Martyn and I are both really into trains (I've mentioned it a lot). He likes diesel types and I'm interested in the social history of the train lines, the Industrial Revolution and the more romantic age of steam so where better to begin our trip than the NationalRailway Museum. 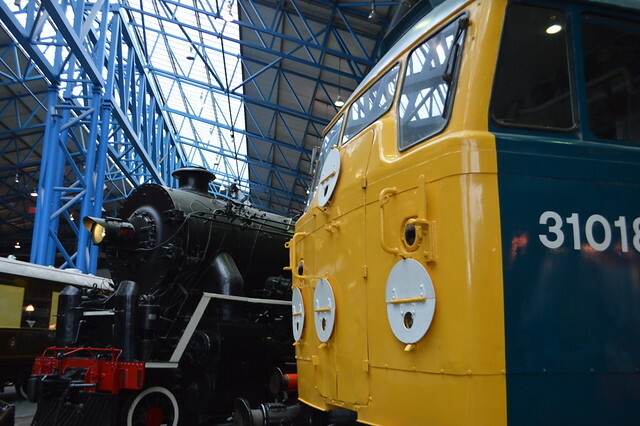 It has an exceptional collection of stream trains, classic locomotives and rail paraphernalia. We spent 6 HOURS there. I spent most of my time shouting 'trains!' and being excited like a big kid. I'll do a separate post about the museum because there's so much to talk about and I took about 200 photos of trains. Did I mention I really like trains? Rail enthusiasts will obviously love the museum but there's something for people of all ages and it's free so what's not to like? After a long day of geeking out over trains Martyn and I headed to Byron for a burger and shake. Martyn got to chose the food because he was the one doing all the driving. If you're going to the York branch I suggest getting a table at the back where it's nice and bright with plenty of room. I had a Classic and Martyn went for a Byron burger which had cheese, bacon and spicy Byron sauce. The burgers were great, not over cooked and with a hint of pink inside just how I like them. 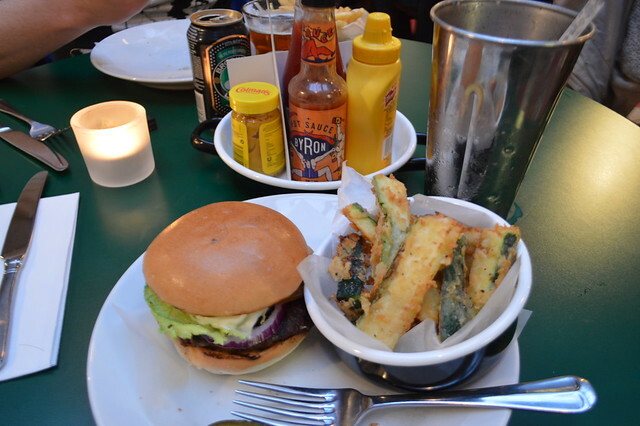 My favourite part of going to Byron is always the courgette fries and they didn't disappoint. I washed it down with some liquid calories in the form of a oreo milkshake, a totally indulgent weekend away meal. Martyn and I both like an early night and a cup of tea (I'm 27 going on 77) so rather than heading out to the bars in York we heard back to the hotel so I could rest my sore leg with stitches in and make sure we were refreshed enough to explore more of York the next day. We stayed in the York Tadcaster Travelodge which was just a 10 minute drive from York city centre. 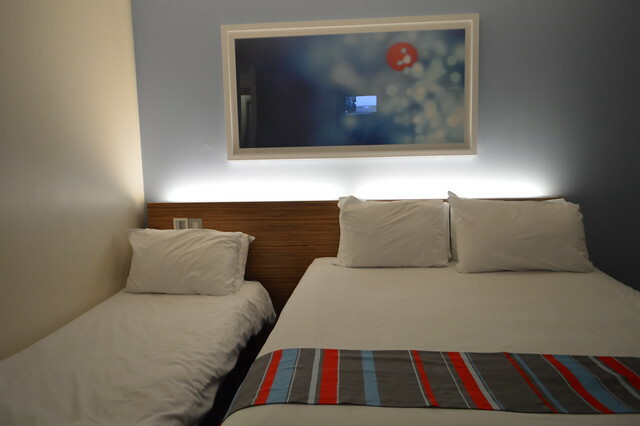 The city centre hotels were fully booked the weekend we wanted to go away and were a little out of my price range so this one just out of town was perfect. Our family room would have cost under £100 for two nights, breakfast and plenty of room, bargain. 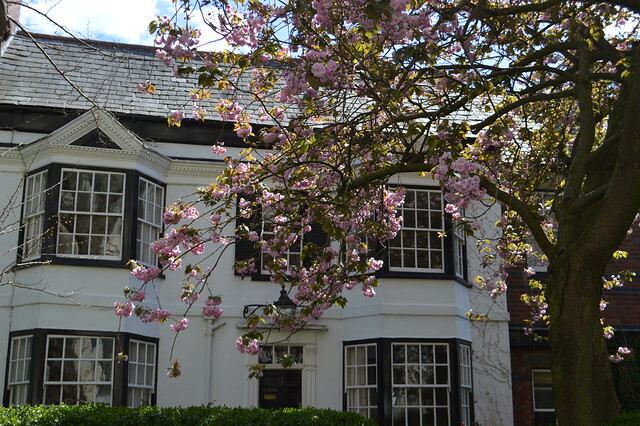 The room had recently been refurbished and had a very comfy king sized bed, it was perfect for a short break. On the Sunday we enjoyed a cup of tea and our breakfast box (which contained cereal, juice, muffins and yogurt) before heading back in to York to explore the city. 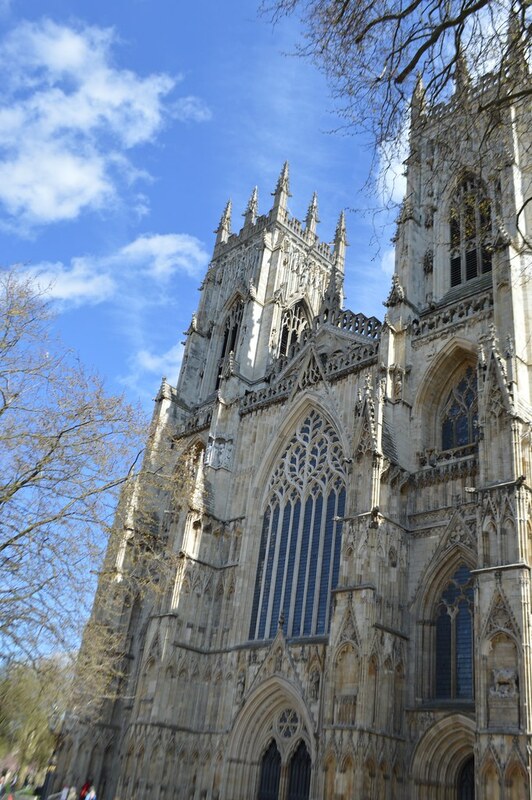 We went straight to York Minster which is one of the biggest Gothic cathedrals in Europe and dates back to the 13th Century. It was a very impressive building which dominates the city. It's huge tower is around 200 feet tall. You can take a look inside and climb the tower but we didn't have much time so we admired the view from outside. 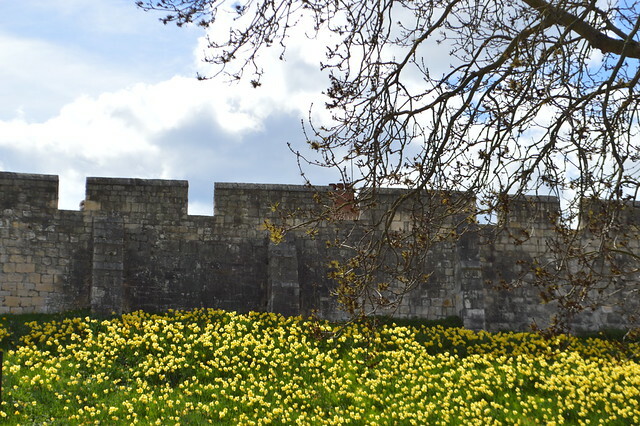 You can also walk around York’s City Walls, which date mostly from the 13th Century with some earlier Roman parts. I walked around the outside of the walls but my silly leg meant I couldn't climb too many steps so didn't climb up to peer out over the top of the wall. The whole city feels to different to the area I'm from in South Wales which despite having lots of castles only really expanded as part of the industrial revolution. Every street seems to be paved with flagstones or cobbles and the buildings are all very charming and lopsided with overhanging gables. 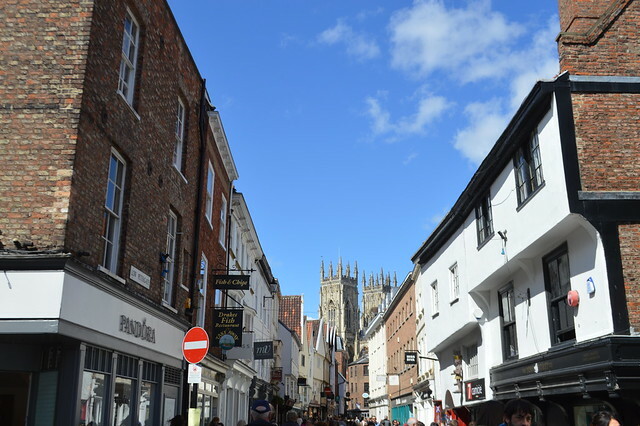 Martyn and I headed down to Stonegate and The Shambles to wander around, get some lunch and do some shopping. These streets have Roman origins but the maze of alleyways is largely medieval. You can find out more about The Shambles here, they get really busy but are well worth visiting. My favourite street name in York is Whip-ma-whop-ma-gate which is believed to mark the site of a medieval whipping post and pillory. We got some fish and chips from Drake's (best I've had in years) and ate this in the shadow of York Minster in the sun before making the long journey back to Wales in the car. I had a wonderful weekend in the historic city of York and want to thank Travelodge for providing me with a two night stay. I know I will be heading back in the future because there was so much more to see and other museums I wanted to visit but I couldn't fit it all in. 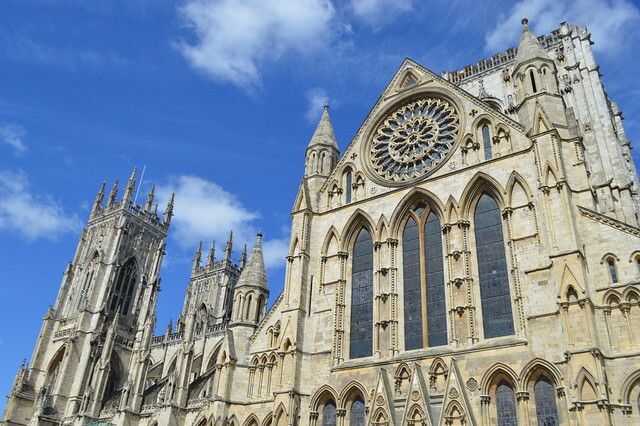 Have you ever been to York? Fab review and looks like you had a wonderful time. I went to uni there and lived there for four years altogether. I bloody love the place. If you go again let me know, I can give you lots of food, drink and shopping recommendations! York is beautiful, I went not long ago when the Christmas market was on. Definitely worth visiting at that time of year! I really want to go and visit York, it sounds right up my street! Have You Packed for Wales? Fat Frocks guide to choosing a watch.